Tabbs Leads Scoring as BC Holds Off Sacred Heart | BANG. 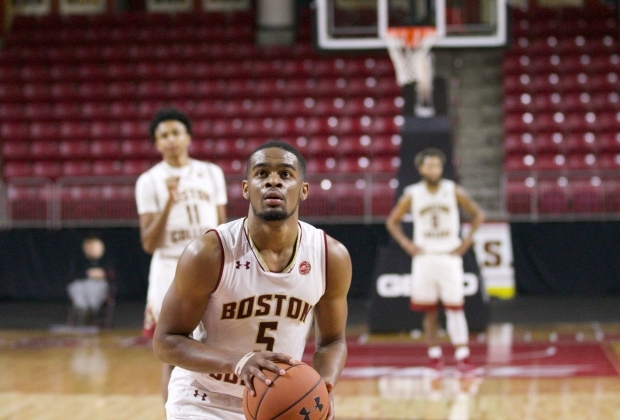 In the tenth meeting between Boston College and Sacred Heart, BC men’s basketball remained undefeated in the all-time series, knocking off the Pioneers 81-73. 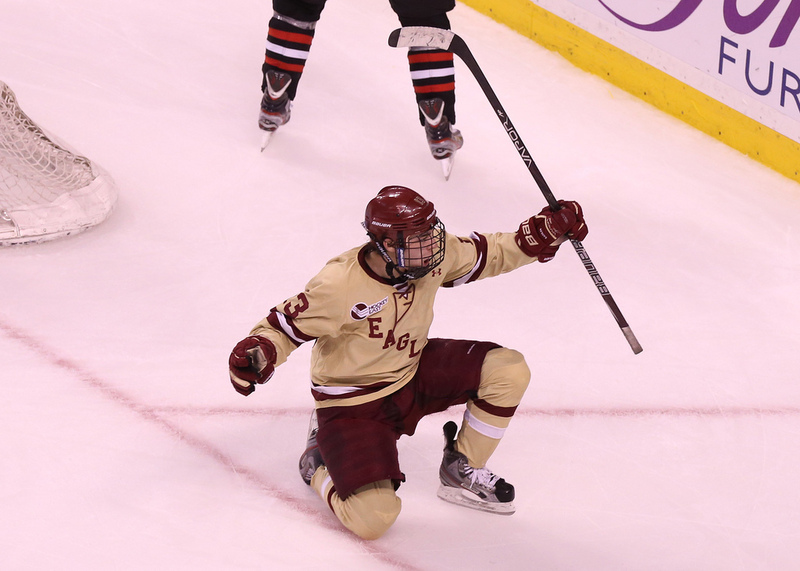 While BC never seemed to lose control of the game, the Eagles still struggled to put Sacred Heart away. 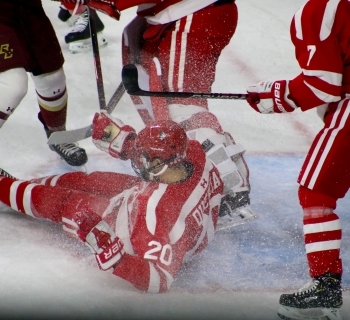 At times this season, BC has looked allergic to leads. However, this fourth straight victory now puts the Eagles at 6-1 on the year. Ever since the Eagles traveled to Fort Meyers, this team has improved their defense and a couple key players not named Ky Bowman have stepped up. After stifling Minnesota to the tune of 29% shooting from the floor, BC’s defense showed up early on against Sacred Heart, holding the Pioneers to just six points over the first 14 minutes of play. Although Sacred Heart would eventually heat up, the defensive intensity and tenacity was encouraging. Despite the Pioneers’ sub-.500 record heading into the game, they had averaged 87.4 points per contest, ranking 19th in the country. After the loss, Sacred Heart now sits at 3-5 on the year. The defense was strong early with the offense also following suit. Wynston Tabbs dropped in the first two buckets of the game, and his night was off from there. The promising freshman finished with a game-high 28 points on a very efficient 9-for-15 from the field. Tabbs’ ability to score was on show all night, getting to the rim at will and finishing confidently. Topped with a perfect 8-8 from the charity stripe, the dynamic guard was efficient for the Eagles in all phases of the game. Once again, BC was able to show that they can find success without Bowman and Chatman carrying the entire offensive burden. Tabbs’ fellow freshman Jairus Hamilton quickly reached double figures in the first half after knocking down a pair of three-pointers. Similar to Tabbs, Hamilton’s athleticism was impressive, presenting his ability to both get to the basket and step outside the arc. However, Hamilton did not record a point in the second half and finished with 10 points on 4-7 from the field. By halftime, Sacred Heart began to find their touch from long range, connecting on a few three-pointers that cut into the BC lead. While BC lead by as many as 20 in the first half, the Eagles went into the locker room up 34-24. After the break, some of the usual suspects began to show up for the Eagles. While Jordan Chatman only tallied two points all-game, Ky Bowman and Nik Popovic both put up double figures in the second half. The third-year big man Popovic scored all 14 of his points in the second half and has now recorded under 10 points in just a single game—the Eagles’ sole loss to IUPUI. Bowman also added 10 points of his own after the break. With Tabbs leading the way on the scoreboard, the decreased offensive pressure allowed him to focus more on distributing the ball and disrupting the Sacred Heart offense. Bowman’s dynamic abilities were prevalent throughout all 39 of his minutes, finishing with a team-high six assists and three blocks along with his 15 total points. Nonetheless, as Head Coach Jim Christian noted in his post-game comments, BC failed to maintain its defensive prowess throughout the contest. The Eagles allowed Sacred Heart to stick around throughout the entire second half after failing to get back in transition quickly enough and yielding too many open looks. For the Pioneers, E.J. Anosike and Sean Hoehn lead the way, pouring in 22 and 19 points, respectively. A couple key three-pointers from Hoehn often stopped BC from icing the game away, as the senior guard ended the game with a trio of threes on 7-for-18 shooting. 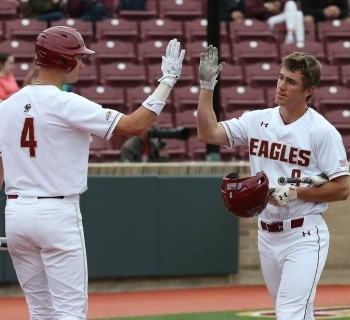 While Christian lauded the offensive balance and ball movement, he pressed the need for consistency down the stretch as the Eagles head toward the end of their non-conference schedule. BC will look to make it five wins in a row this coming Tuesday, as they take on Providence at 7 p.m. in Conte Forum.